The UNO Alumni Association celebrated the 21st year of its Alumni Outstanding Teaching Awards program when it presented the honor to nine faculty members during the UNO Faculty Honors Convocation April 13. Association President Lee Denker presented the awards, established in 1997 to honor distinguished teaching in the classroom. Peer committees in UNO colleges chose recipients, each of whom received a $1,000 award. Denker presented recipients with commemorative plaques during the convocation reception, hosted in the Thompson Alumni Center. With the 2017 awards the association has issued $185,000 through the program. Brief bios of recipients follow. Abhishek Parakh, Interdisciplinary Informatics, College of Information Science & Tech. Jessica Hagaman is an assistant professor in the Department of Special Education and Communication Disorders in the College of Education. She teaches undergraduate and graduate courses focused on assessment, differentiation, inclusive practices, and academic interventions for students with high incidence disabilities. 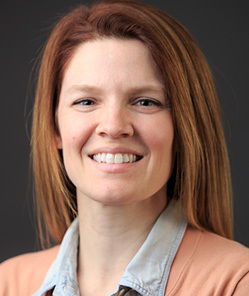 Her current research interests include reading comprehension, academic interventions for students who are at-risk and those with disabilities, cognitive strategy instruction, and effective teacher preparation. Hagaman joined the UNO faculty in 2012. 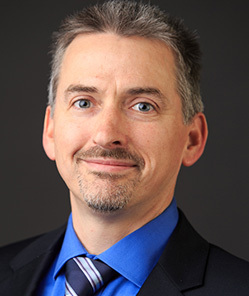 Christopher Kelly is the Leo Missinne Professor of Gerontology and the Graduate Program Chair in the Department of Gerontology. His research explores indicators of nursing home quality, as well as innovative long-term care alternatives at the state and local levels. The latter efforts include his service as a member of the State of Nebraska’s Aging Task Force. 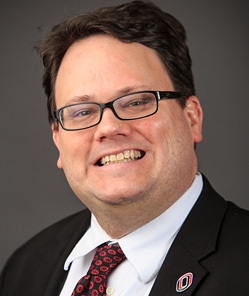 Kelly, along with his colleagues at UNO and at Georgia State University, also is exploring efforts to improve the quality of nursing home alternatives, such as assisted living and home care, particularly through the recruitment, training and retention of direct care workers. He joined the UNO faculty in 2006. Tammie Kennedy’s primary focus is rhetoric, film and writing. Her scholarly and creative work focuses on the rhetoric of remembering practices and how the embodied qualities of memory shape identity, writing and knowledge production. She is director and editor of the UNO's Women's Archive Project, a student-produced digital website that features profiles of UNO-affiliated women (http://wap.lib.unomaha.edu). She has taught at UNO since 2009 and also has taught at the University of Arizona (Tucson), Lakeland Community College in Mattoon, Illinois, and Illinois State University. 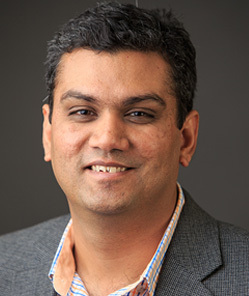 Abhishek Parakh is an assistant professor of Cybersecurity and a member of the Nebraska University Center for Information Assurance (NUCIA). He has published more than 50 articles in refereed journals, conferences, books and magazines. He has received competitive research funding from the National Science Foundation and NASA and several internal grants at UNO. 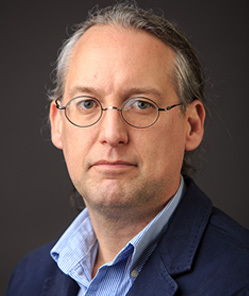 His research interests include cryptographic engineering, applied cryptography, network security, lightweight encryption and quantum computing and cryptography. He is a reviewer for several journals and has given several invited talks at various venues. He joined the UNO faculty in 2011. 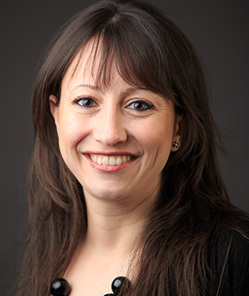 Martina Saltamacchia is director of the Medieval/Renaissance Studies program and specializes in Medieval Italian History. She is working on two research projects: a focus on the construction of the Cathedral of Milan in the 14th century and the people who donated money and goods for the work; and, research on the biography of Marco Carelli, a wealthy Milanese merchant who in 1390 donated nearly all his immense patrimony to jump-start the construction of Milan’s Cathedral. Saltamacchia teaches courses on topics such as the Crusades, Saints & Sinners, Castles & Cathedrals and Medieval Merchants, using innovative pedagogies like role-playing simulations, experiential learning and flipped classroom. She joined UNO in 2012. 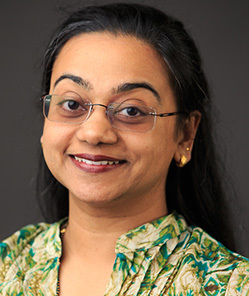 Roopa Venkatesh’s area of expertise is in managerial accounting. She teaches the intermediate managerial accounting and advanced managerial accounting courses and has created and teaches a new course, managerial accounting for supply chain management. Her research interests include managerial accounting and auditing, and examining the effect of eXtensible Business Reporting Language (XBRL) on the audit process and auditors’ judgments. 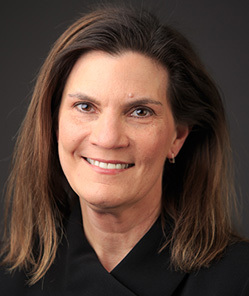 She is a founding board member of the Platte Valley Chapter of the Institute of Management Accountants (IMA) and is vice president–director of membership. She is a member of the American Accounting Association, Institute of Management Accountants, XBRL Consortium and Beta Gamma Sigma Business Honorary. She has won numerous teaching and professional awards. She joined UNO in 2009. Miles Waggener is a poet, essayist and literary translator. He coordinates The Writer’s Workshop, UNO’s undergraduate creative writing program. He also is graduate program chair for the MFA in Writing Program and teaches courses in creative nonfiction and poetry. Waggener is author of two poetry collections: “Phoenix Suites” (The Word Works, 2003), winner of the Washington Prize; and “Sky Harbor” (Pinyon Publishing, 2011); as well as chapbooks “Portents Aside” (Two Dogs Press, 2008) and “Afterlives” Ó(Finishing Line, 2013). His poems have appeared in numerous anthologies and journals. He also has won individual artist fellowships from the Arizona Commission on the Arts and the Nebraska Arts Council. He joined the UNO faculty in 2006. James Wilson studies the ecology of small mammals and is particularly interested in subjects relating physiology and ecology. Currently, Wilson is investigating the melanistic (black) squirrels found in the Omaha metropolitan area and is trying to measure what, if anything, is beneficial for the melanistic squirrels. In the past, Wilson has measured metabolic rates in the American pika in an attempt to determine if warming temperatures associated with climate change physiologically burden them. In the future Wilson is hoping to study rodents in the Sandhills of Nebraska and how they help cycle nitrogen in the environment through their diet. He has taught at UNO since 2007. David Yuill’s scholarly activities focus on engineering high-performing buildings, i.e. buildings that are energy efficient, healthy, comfortable, and sustainable. 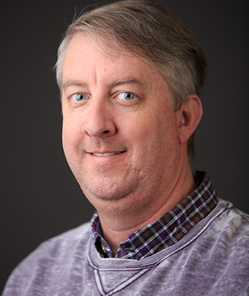 He directs the Nebraska Building Environment and Energy Engineering Research Group (N-BE⊃;RG), and teaches thermal science and HVAC topics to undergraduates. His graduate students work on fault diagnostics for HVAC equipment and supermarket refrigeration, and modeling building energy performance. He has taught at UNO through the UNL College of Engineering since 2014. He previously was president of Building Solutions.